We exist in a programmed hologram (illusion) - the brain being a biochemical machine (computer) that runs on binary code and allows us to believe things are real. It's all about programming. People seek out the services of a hypnotherapist at a point in their lives where change is triggered by their DNA codes. It's all math and science set in the illusion of time. Tick tock! As a licensed hypnotherapist I have used this technique to help patients heal and explore other lifetimes within the hologram. Other hypnotherapist have told me they have cured 100% of their patients from addictive behavior and other ailments that blocked their path. To what you as? The answer goes to the age old questions ... "Who am I am ... why am I here? I want to make a difference how can I do that?" Hypnotherapy is the application of hypnosis as a form of treatment, usually for relieving pain or conditions related to one's state of mind. Practitioners believe that when a client enters, or believes he has entered, a state of trance, the patient is more receptive to suggestion and other therapy. The most common use of hypnotherapy is to remedy maladies like obesity, smoking, pain, ego, anxiety, stress, amnesia, phobias, and performance but many others can also be treated by hypnosis, including functional disorders like Irritable Bowel Syndrome. Researchers have identified a new drug-free treatment which combines hypnosis with pain management education to reduce the intensity of chronic low back pain. Hypnosis is a safe drug-free method which we have shown can help reduce pain intensity, disability, and catastrophizing of pain by those receiving the combined treatment. Hypnosis is a much maligned and misunderstood aspect of mind 'tinkering.' Many people think of hypnosis as a person clucking around like a chicken on stage after having a pocket watch dangled in front of his eyes. ThereÕs more to this field of study. In previous articles, we discussed how the Gamma wave brain activity (vibrating at a frequency of about 40 hertz) corresponds to moments of profound inspiration. Other brain activity, such as Theta wave, corresponds to other mental states (relaxation, active problem-solving, et cetera). Gamma waves have a relatively high frequency, and they can reach far higher than 40 hertz (Hz), though the effect of very high Gamma waves is not yet well understood. The roots of medicine by therapy lie in ancient societies even earlier than the Ancient Egyptians and Ancient Hindus. Religious rituals were characterized by dancing, music, and masked peoples assuming new identities.In the nineteenth century, healers like Abbe Faria and practitioners like Franz Anton Mesmer, Scottish neurosurgeon James Braid, James Esdaile, John Elliotson, Ambroise-Auguste Liebault, Emile Coue, Jean-Martin Charcot and more recently Andrew Salter with his conditioned reflex therapy, began experimenting with the principles of what we now understand as hypnosis. Mesmer's research into the prevalent ailment of 'hysteria' led to the theory of animal magnetism. This is comparable to modern-day stress, or in hysteria's most extreme examples, appears to bear similarity to post-traumatic stress disorder (PTSD). A contemporary of Mesmer had claimed to have discovered a physical force in all living things (people, trees, plants and animals) through which humans would reach the hysteria state instantly on contact with a specially "magnetized" tree or bush. Following an elaborate ceremony 'magnetizing' trees, sufferers of hysteria or hysterical nature would touch the tree and experience something akin to a fit, after which the hysteria would usually not recur. Mesmer staged an animal magnetism without having 'magnetized' the trees to illustrate that the ceremony was a sham. However, all of the volunteers for Mesmer's event had the same effect from the non-prepared trees. That is, the very suggestion of animal magnetism being at work was enough to create the bodily response. Mesmer then wrote various theses on this previously unheard-of psychological effect, later termed "mesmerism" as shorthand for the effect. In common parlance, we have since termed this the Placebo Effect. James Braid was next to develop modern hypnosis a step further. In his scientific studies of brain workings, he became driven to understand the nature and logistics of sleep, and specifically dreaming, in the brain. In his writings and studies later published on these findings, Braid referred to the Greek god of sleep, Hypnos. As such, the new branch of learning became known as "neur-hypnology". Sigmund Freud for the first 15 or so years of his own psychological treatment in the late 1930s employed something similar to hypnosis with his own hysteria clients, upper-class Viennese women. This took the form of the svengali-esque [swinging watch] technique, to defocus the eyes before a fully authoritarian and overt induction. Presumably not all Freud's clients found this effective, as he later abandoned the procedure in favor of his newly developed free association technique. This is often viewed as the beginning of modern [psychotherapy], in that the patient would be asked ongoing questions to 'keep them talking' from which Freud would then deduce an explanation and treatment based on his own theories and frameworks. During such procedures, various props were used to allude to the patient's own psychology and preferences... including inkspots of undetermined shape Rorschach test (pronounced 'raw-shock') and [lucid dreaming] similar to waking hypnotherapy of the modern day. Although he showed a preference for his own home-made procedures, the principles of conscious, unconscious, dream utilisation and refinement of attention are ongoing themes throughout the majority of his work. They also predate what we nowadays refer to as hypnotherapy, although the chasm between the schools of psychotherapy and hypnotherapy has deepened as these elements of Freud's format are left aside in favour of a more [counselling]-based approach. Milton H. Erickson was one of the most successful modern hypnotherapists. During the 1970s, Erickson saw unprecedented success treating his medical patients with hypnotic procedures. He was responsible for an entirely new branch of hypnotherapy as we now call it, Ericksonian hypnotherapy. This was the use of covert suggestion in normal conversation, without the formal "you are feeling sleepy" authoritarian induction rigamorole used by Freud. The phenomenal effectiveness of this conversational technique has since led to the development of Neuro-Linguistic Programming (NLP), sleight of mouth used for covert persuasion in sales, advertising, political discourse and entertainment, mentalism of the kind poularized by Derren Brown and Luke Jermay amongst others. As a professional doctor of medicine (MD) Ericksson treated many patients successfully using hypnotic techniques and his achievements are well-documented. He wrote many books, journals, and articles, on the subject and is considered widely a defining figure of modern hypnotherapy. The Hypnotist-Subject relationship has been feared by some due to the practice of stage performers. In a book by Erica Fromm, it has been referred to as "archaic involvement", listing these responses in the "patient". I call it transference. 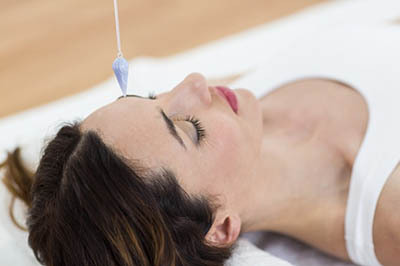 Hypnotherapy, however, usually takes place in a clinical setting, within the framework of an individual course of therapy. Age Regression - by returning to an earlier ego-state the patient can regain qualities they once had, but have lost. Remembering an earlier, healthier, ego-state can increase the patients strength and confidence. Revivification - remembering past experiences can contribute to therapy. For example; the hypnotist may ask "have you ever been in trance?" and then find it easier to revive the previous experience than attempt inducing a new state. Parts Therapy - a method to identify conflicting parts that are damaging the well being of clients, then helps those parts negotiate with each other through the therapist to bring about a resolution. Confusion - a method developed by Milton Erickson in which the subject becomes receptive to ideas because confused. Repetition - the more an idea is repeated the more likely it is to be accepted and acted upon by the patient. Hypnoanalysis - the client recalls moments from his past, confronting them and releasing associated emotions, similar to psychoanalysis. Post Hypnotic Suggestion - a suggestion that will be carried out after the trance has ended. "When you re-awaken you will feel refreshed." Binds or Double binds - tension on a bind causes trance. This is like "the centipede who when asked which comes first, the left foot or the right, lost his concentration, stumbled, then rolled into the ditch". 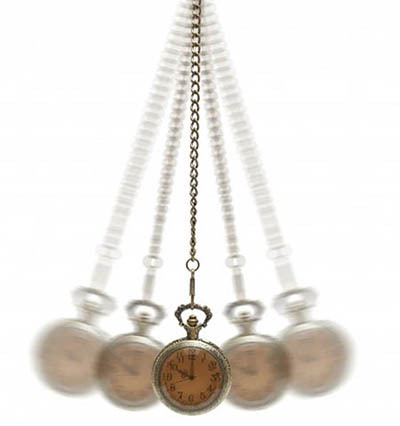 Binds are very common in hypnosis and it is essential to know the capacity of the subject and to ensure they will concentrate on the leg that will carry them through their journey. The duty of the hypnotist is to concentrate the subject on their desired goal.